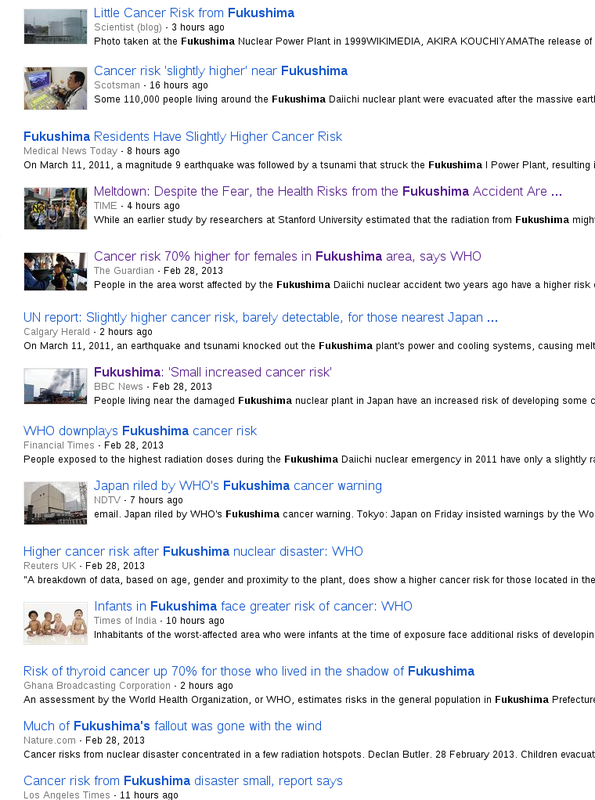 Once again Carbon Counter has been quick of the mark with the recent release of the WHO report from Fukushima. We suffer from this type of thing quite a bit, especially from sections of our ABC. It’s great to see The Guardian being called out. We all deserve better. 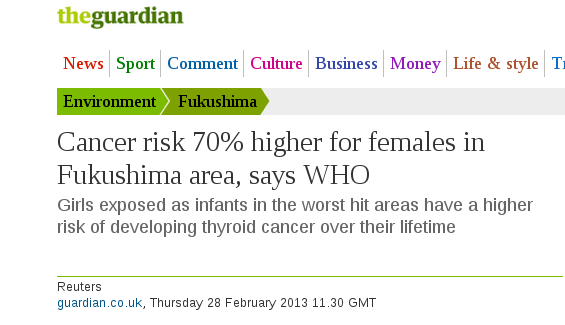 Guardian readers risk getting cancer. If that statement is wrong I’ll retract it.